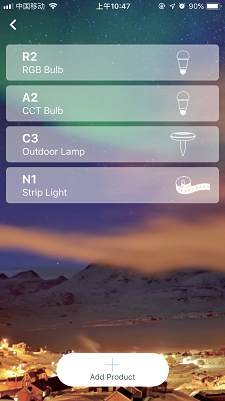 Users can choose the light mode according to time, scene, mood, and also can adjust the brightness, color temperature and color of the light. With the grouping function on the App, each group can control up to 48 products, users can set 7-8 groups on one App, total around 350 products can be controlled via one App. You can set the light turn on / off time by the timing function. Using energy-saving and high-quality LED lamp beads, the light source is stable without stroboscopic, the effective life can be more than 20000 hours. 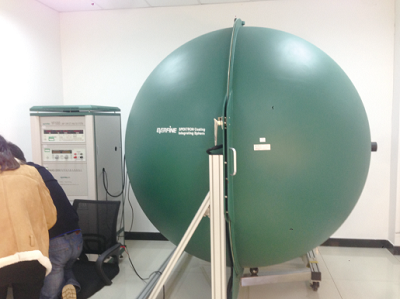 Our LED products can meet global quality standards and pass European testing by TUV Rheinland. 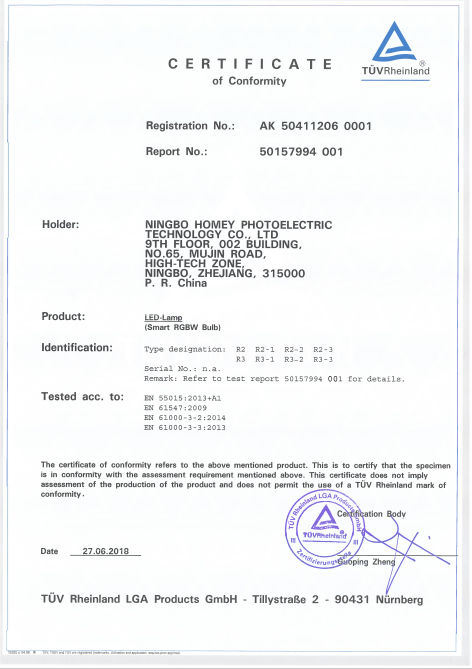 Bulbs have certifications such as EMC, RED, LVD, ROHS, REACH, ERP and FCC. Smart RGBW bulbs add RGB colorful light based on the traditional warm light, they are suitable for home, bars and offices. No need to install the cable lines again, once the bulb is installed on the lamp holder, just turn on the switch, the traditional lighting can be immediately upgraded to smart RGBW lighting, you can enjoy the convenience and interest brought by smart lighting. The App are developed on the most advanced Bluetooth Mesh technology. 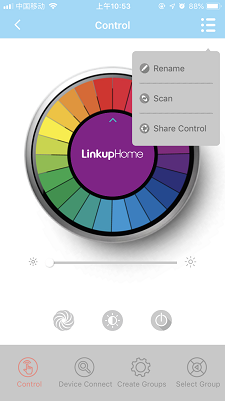 [LinkupHome" App can be downloaded in the App store or Google Player, then you can control our product without any complicate steps. The App is stable, easy control and multifunctional. 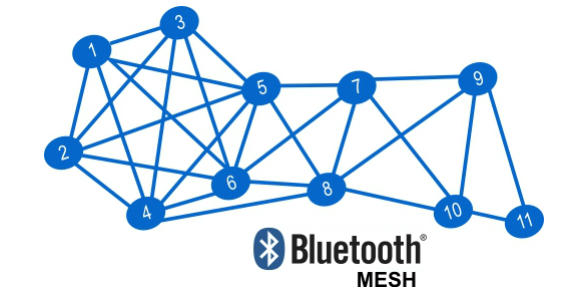 The advantages of Bluetooth Mesh are fast connect, low power consumption, no password required and Ad-Hoc Network. No need WIFI and hubs, as long as you have a Bluetooth-enabled smart phone, you can experience the smart light. When you install several smart bulbs, the self-organizing network function can make the signals free connect, break the limitation of distance. Our LED products can meet global quality standards and pass European testing by TUV Rheinland. 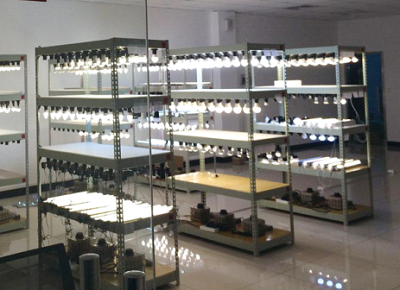 Bulbs have certifications such as EMC, RED, LVD, ROHS, REACH, ERP and FCC. 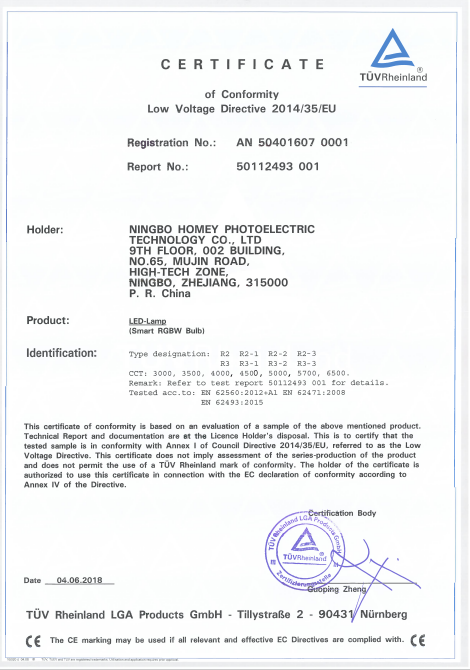 Ningbo Homey Photoelectric Technology Co., Ltd was established in the year 2013 and located in the beautiful city Ningbo, Zhejiang, China. As a technology company devoted to IOT smart home innovations, we are engaged in the design, research & development, production and marketing all by our team. We are specialized in smart home LED products. 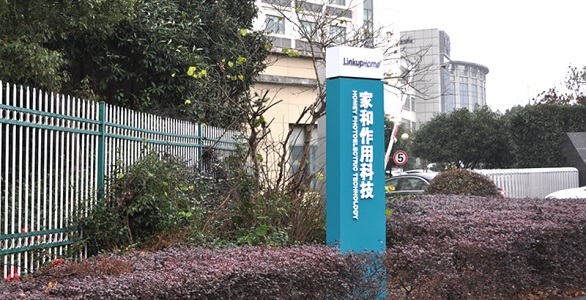 Three years have been spent on developing the smart lighting system and remote control system, laying a solid foundation on the future research and development. The team structure is well organized, including software and hardware development engineers, industrial designer, structure designer, production director, and sales representative. 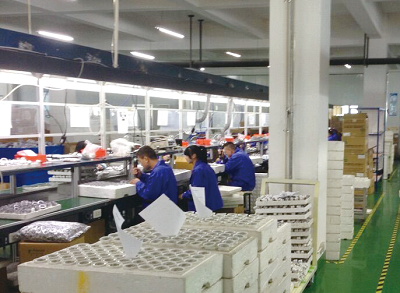 Modernized standard production line, well-equipped testing labs, high efficient way of management and well-trained workers provide a strong guarantee for the production. All our products are complied with international quality standard and approved the certifications, such as CE, ROHS, LVD, EMC, REACH, FCC, BSCI and BQB . We always select the first-class international certification lab to test our products, such as TUV in Europe and ETL in the United States. 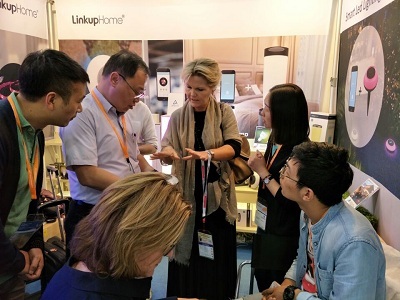 Our products are patented around the world, [LinkupHome" is the global registered sub-brand of our company. Now our main markets are in the Germany, Spain, France, Netherlands, Sweden, Norway, United States and China. We combined the Mesh underlying technology with self-development software system of Mesh application layer.The Mesh underlying technology is developed by CSR Bluetooth company. As the member of the Bluetooth SIG, we are committed to developing the most advanced Bluetooth Mesh intelligent system over the world. This intelligent system is at the forefront of international technology. All of our smart products with this Mesh intelligent system are mature.Customers can easily control single or multiple products with the App on the smart phone, it can mostly control 350pcs smart LED products on one App. Our smart products are easy to control and will bring much fun of the technology to your life. Several new products will be launched regulary every year. Our current category of products including smart CCT bulb, smart RGB+W bulb, smart outdoor lamp, smart strip light, smart GU10 spot light and smart multifunctional bed lamp and bluetooth speaker with colorful light.